Not everyone can decide between island living or a classic safari; mountain views or the ocean breeze – and coming to Africa you will surely want to see it all. Why pick one country; one city; one town when you can tailor a grand tour of Africa and experience different places, cultures and foods in a single trip! The luxury East African adventure tour and safari does exactly this – offering you the very best in hospitality, safari experiences, luxury and unimaginable wildlife encounters in just two weeks. From the colonial opulence of Hemingways Nairobi to the breath-taking views and exceptional service at Angama Mara; the ultimate safari at Singita Faru Faru and the pearly white sands of andBeyond’s Mnemba Island Lodge in Zanzibar. 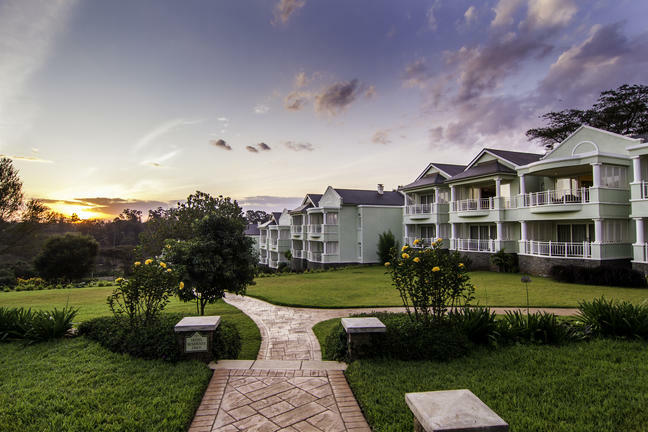 A member of the Small Luxury Hotels of the world, Hemingways is an elegant boutique hotel situated in Nairobi’s residential area with magnificent views of the nearby Ngong hills. Sensitively designed for the discerning business and leisure traveller, Hemingways Nairobi offers the full facilities expected in a modern day luxury boutique hotel. Giraffe Manor is an exclusive boutique hotel, set in 12 acres of private land within 140 acres of indigenous forest in Nairobi. As one of Nairobi’s most iconic buildings, Giraffe Manor has extraordinary appeal that extends back to the 1930s when European visitors first flocked to East Africa. With its stately façade, elegant interior, verdant green gardens and sunny terraces, guests often remark that it’s like walking into the film Out of Africa. Not to mention the herd of resident Rothschild giraffe who may visit morning and evening. On the edge of the Mara Triangle, beneath the Olooloolo Escarpment, lies a lush, magical oasis of giant fig and wild ebony trees that is home to an intimate, colonial, Kenyan escape. Bateleur is a sanctuary of comfort, shade, coolness and luxury, a welcome retreat from the heat and wide-open spaces of the surrounding savannah. This is a place where everything is just as it ought to be. On the rim of the Great Rift Valley Escarpment, overlooking the Mara Triangle it’s regarded by many as Africa’s finest safari destination. 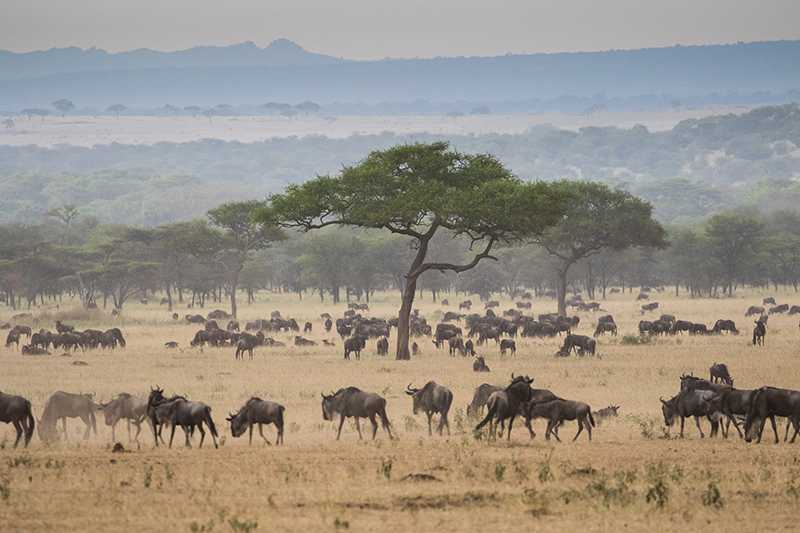 The Mara is also home to the annual Great Wildebeest Migration – and Angama Mara overlooks all of this. The sky – ‘anga’ in Swahili – melts into the horizon, and it is hard to define where it ends and the earth begins. The lovely Swahili word ‘angama’, meaning ‘suspended in mid-air’, inspired the name Angama Mara. The site completely speaks to this, as each tented suite and guest area hangs on the edge of the Rift Valley, with views that quite simply take your breath away. 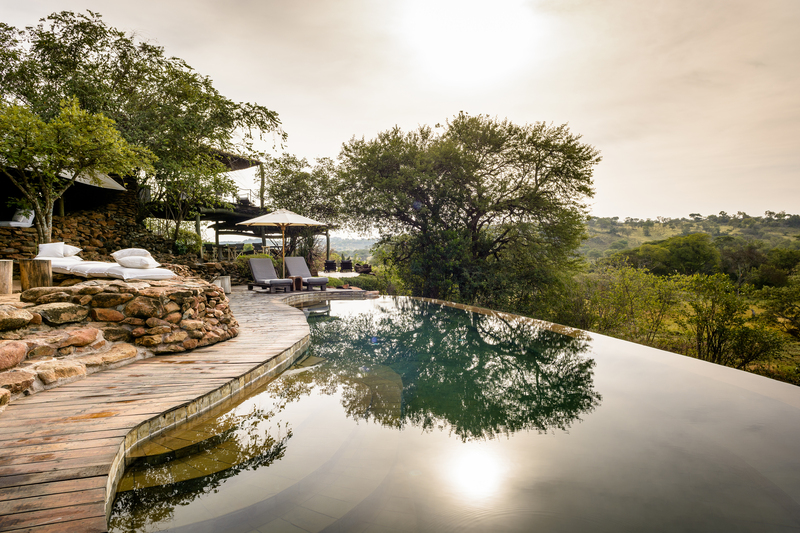 Singita Faru Faru is built on a gently sloping hill above a beautiful waterhole and the Grumeti River. In the dry season, after the great herds have departed for greener pastures in the north, the Grumeti draws in large concentrations of resident wildlife. Elephant, Cape buffalo, giraffe, zebra, gazelle, impala and topi all seek life-sustaining water from the river. Even in places where the river runs dry, water flows just beneath the sand and many species dig to find it. Faru Faru offers a constantly changing and completely private wildlife spectacle. Exclusive yet unpretentious, andBeyond Mnemba Island is an award-winning private beach paradise just off the northeast coast of Zanzibar. Ten beachside bandas overlook a pristine coral reef at this romantic, private hideaway. From snorkelling, swimming and kayaking to massages on the beach and simply doing nothing at all, andBeyond Mnemba has something for everyone. For more information on your next grand tour, enquire now!